Wine Reviews has release information and reviews of Windows applications and games running on Linux Mac OS X and Android using Wine from WineHQ.org Q4Wine PlayOnLinux PlayOnMac WineBottler WineSkin WineTricks and Wine-Staging. Wine is an Open Source implementation of the Windows API on top of X and Unix. Click on the link above to go to the new location. (To maintain accessibility, we have not set up automatic redirection to the new page.) If you have a bookmark to the old page, please change it to the new address above. If you followed a link from another Web site to this page, please let the people responsible for that Web site know the new location above. 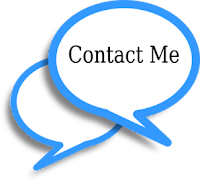 If you are having trouble finding the information you want, do a search on this article at our new site. Thanks for your understanding and Sorry for the inconvenience. I dont see the difference between the two installation procedures? Next up is to set the Owner and Organization in the registry. Hi, your guide has been very helpful to me. I hope that someday someone will be able to make a program for this like envy for nvidia. there's a good chance that with latest wine git you won't need native imm32 any more. At least it fixes the Excel 2003 Viewer for me. Did anyone ever get Outlook 2003 to work on Wine !!??? That is the only thing keeping me in windows. aceq, do you mean you got outlook working on wine 0.9.5. Did you face any problems?any words of wisdom. Can you post information on how to setup file associations for word with .doc etc once the install is complete. Here is a like on how to do it. Hurra. We're in 2008 and finally we can run Office 2003. With this pace will be running Office 2007 in... 2012. Hooray. Don't see what's so great about the latest Wine release. I installed Office 2003 last summer on Ubuntu with Wine. No biggie. What *WOULD* rock is Office 2007! Ooh. Was a bit fast there. Didn't install 2003, but Office XP. Whole other thing... BUT I SAW YOUR OFFICE 2007 INSTALL. AMAZING! Does anyone know which is the best centralized place to find info about which wine version does what for office (and other programs)? The Word page at winehq.org does not contain much info. When I post, there are rarely answers. Then, there is "http://www.wine-forum.org/", but that seems to be relatively new, not much there, yet. I get Office (Word/PPT/Excel) installed with 0.9.53 on a naked wine, without any additional tricks (no MSXML3, riched30). So, what is the reason for installing those? However, I still find that Word runs better on 0.9.37 (embedded jpeg/PNG images are rendered very slow, I had issues with font rendering: everything looked bold, although it wasn't). I use playonlinux.com to switch between wine versions. When we run setup it ends up installing the whole suite irrespective of what we select. 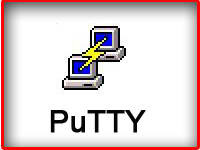 How do we get this to install only Word, Excel & PPT ? I cannot confirm your problem: in my case, only Word, PPT and Excel get installed. I have to emphasize that I not only unselected the other applications (Outlook, etc. ), but I have also checked "Detailed customized settings" (or something similar) and made my detailed selections. I just installed Office 2003 with Darwine (0.9.55), didn't set any dlls as native and it all worked. It seems everything got installed though, just like some other people mentioned here. Other than that it works fine. Currently I am running MS Office 2003 under Wine 0.9.54 on an ASUS EEE. It works except for one aspect. Pictures in jpg format are not shown in Word and PowerPoint documents. You only see an empty box with a cross in it. Vector graphics are shown correctly. Is there a way to show jpg's correctly under Office 2003 using Wine? i've managed to install without a problem, but i can't seem to activate the product. Hi. I have wine-0.9.46 and I'm trying to install Office 2003 but I still have a problem concerning to the user: "Microsoft Office Word hasn't installed for current user. Execute the installation program again to install the application". Hi. I've tried it and..it works! But the problem is that when I have successfully installed Flash MX and Photoshop 7, I can't run them. They just show their splash image. Any suggestion(s)? Where am i going wrong? OK. Took your advice and ignored it. Thought I'd try something simple to double check wine was working (like sol.exe) and it works! As someone later in the article commented, I downloaded the xlviewer, wdviewer and ppt viewer - does this mean I don't need the MSMXL? And my last dumb question - how do I get the MS Office cd to run the installation procedure? Just mount the CD as a normal CD then, Ubuntu doesn't give normal root privileges as a default config. You can try it with a builtin MSXML dll, but if it doesn't work, you will need this package from MS.
have the problem with powerpoint slideshow been resolved? I manage to install office 2003 that the only problem I had ecountered. Even with my limited experience, I still recommend them (although the battery is not great). Many thanks for all your help. Thanks for the great guide. I have Office2003 installed, but I am having some problems with Access. I am confident that it is related to the system.mdw file for security, although I cannot identify exactly where. Does anybody have any hints? The AppDb and other searches reveal that it should work, although this seems to be a common problem. when i try it on wine 1.0rc3, i get "Setup ended prematurely because of an error" after i select options. I am using Kubuntu 8.04 x86_64. I have the same problem as jacobgrocks. The install won't even start. There is a quick flash of the install screen, then it disappears. I'm using Hardy and wine 1.0. I'm new to Linux so I'm not too capable yet. Any suggestions? 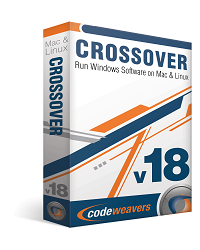 CrossOver Linux and Mac on Sale Now! WWN Issue 340 was released today. CodeWeavers CrossOver Linux and Mac 25% off sale ! Wine Reviews your source for news and reviews about Wine, WineHQ, PlayonLinux, PlayonMac, WineSkin, WineBottler, CodeWeavers CrossOver Mac and Linux, Wine Reviews is your solution for Windows on Mac and Linux.